The new Logosol M8 model is neater and more portable with all the functions necessary to do a really good job. 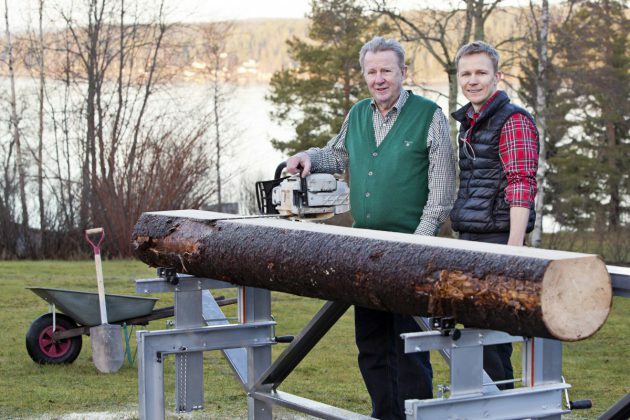 The design, with a lighter saw carriage and 4-metre guide rail, makes the sawmill extremely flexible and easy to use. The Farmers M8 is an excellent option when you want to saw your own timber for small or medium-sized building projects. 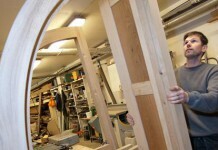 ”This sawmill is perfect for me at my cottage where I don’t have very much room. It’s easy to use and simple to pack away. After felling a pine tree, I set to work sawing it up into boards. Then I spent a delightful holiday day constructing a wooden bridge that was needed over the brook that runs close to the plot,” explains Mattias Byström, product manager at Logosol. It only takes a few minutes to set up or dismantle the sawmill, making it easy to store and transport. The Farmers M8 is ideal for all those who have building projects at home in the yard or at their summer cottage. It’s easy to transport between different locations, in the yard or out in the forest, and you can be up and running in no time sawing boards for your building projects The Stihl MS391 is a suitable saw unit for the Farmers M8. It has a 3.3 kW motor and weighs 6.4 kg. 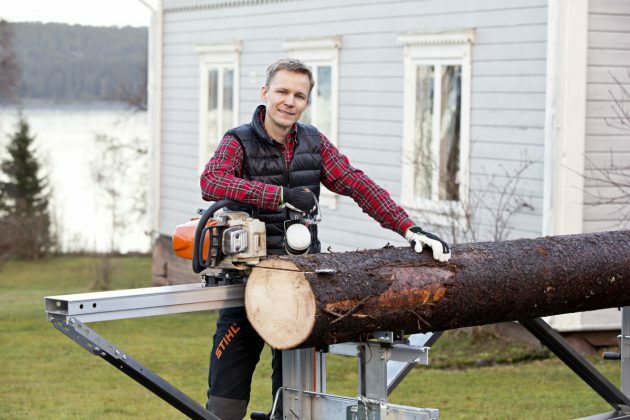 It provides adequate motor power and is also superb for forest work and wood sawing. With the Stihl MS660, which is newly developed and tremendously powerful, sawing goes even faster. ”A self-locking system with clear scales and fixed sawing dimensions ensures exact timber dimensions. The sawmill has a robust design and is equipped with a more versatile carriage that follows the straight slab when sawing and can easily be lifted on and off. You can saw up to 3.8 metres with the basic unit; if you need to saw longer logs, the sawmill can be extended – as much as you want, in one-metre sections,” says Mattias Byström. In addition to extensions, the sawmill can also be upgraded with a number of accessories. All accessories developed for the larger M8 model are compatible. From autumn a practical transport case will also be available. The Farmer's Sawmill is a neat and portable mini-sawmill with all the functions necessary to do a really good job. The design, with a lighter saw carriage and 4-metre guide rail, makes the sawmill extremely flexible and easy to use.